Basketball players wishing to track their shots ad game statistics might be interested in a new system called ShotTracker which has launched today and is support by both Android and iOS smartphone. 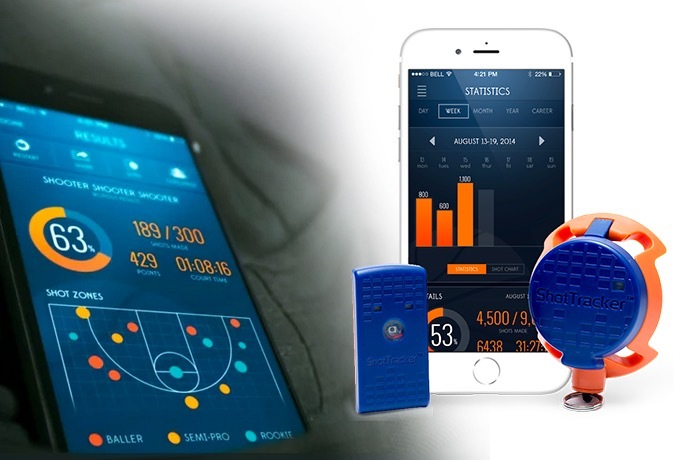 The ShotTracker wearable sensor connects to its companion applications to record and display the statistics from your game and previous events. Watch the video after the jump to learn more about the ShotTracker wearable system and see it in action. “You can’t improve what you don’t measure, which is why we’ve created ShotTracker; the wearable tech that automatically tracks shot attempts, makes and misses. For more information on the new ShotTracker system jump over to the official website for details and the ability to purchase for $150.